RIM has finally lifted the lid on the reasons behind the worldwide BlackBerry outages over the last two days, but still hasn't given a date for when normal service will be resumed. 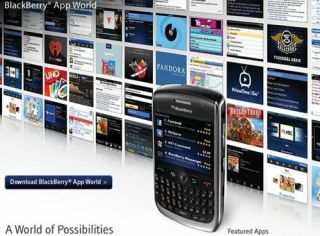 The worldwide BlackBerry crash has seen millions of users up in arms about not being able to access the likes of BBM, email and the internet. Update: The problems have now spread even further, with users in North America suffering the same issues - loss of internet services, email and BBM. RIM has reiterated that restoring the services are its number one priority, but is yet to give any kind of time frame for a solution. "The messaging and browsing delays being experienced by BlackBerry users in Europe, the Middle East, Africa, India, Brazil, Chile and Argentina were caused by a core switch failure within RIM's infrastructure," read a statement. "Although the system is designed to failover to a back-up switch, the failover did not function as previously tested. As a result, a large backlog of data was generated and we are now working to clear that backlog and restore normal service as quickly as possible. "We apologise for any inconvenience and we will continue to keep you informed." Some users are already reporting a resumption of their BlackBerry services on BlackBerry Enterprise Servers, but many are still stuck without the core functions of their shiny RIM-powered device. We'll update you as soon as we find out when the BlackBerry outages have been fixed.